﻿ Nasri: "Aguero is only second to Cristiano Ronaldo"
28.11.2014 » Nasri: "Aguero is only second to Cristiano Ronaldo"
In England since 2008, Samir Nasri believes that Sergio Aguero deserves to be rated amongst the very best football players in the World. The Frenchman compared his Manchester City teammate with the main Ballon d'Or candidates and said that in terms of talent, he only falls short to Cristiano Ronaldo. 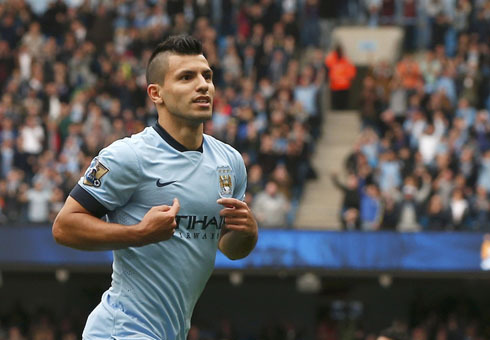 With 17 goals in 18 games this season, Sergio Aguero has been the main responsible for keeping Manchester City fighting on all fronts so far. The former Atletico Madrid striker has been basically carrying the Citizens on his shoulders and shortly after signing a truly remarkable hat-trick in City's 3-2 mid-week win for the Champions League against Bayern Munich, he earned a well-deserved round of praise, coming from all corners of the globe. One of his biggest admirers is City's French midfielder, Samir Nasri, who confessed to be amazed with what his Argentinian teammate has been doing lately. Moreover, Nasri stated that right now, Aguero is right there on the top next to the likes of Barcelona's Lionel Messi and Luis Suárez. 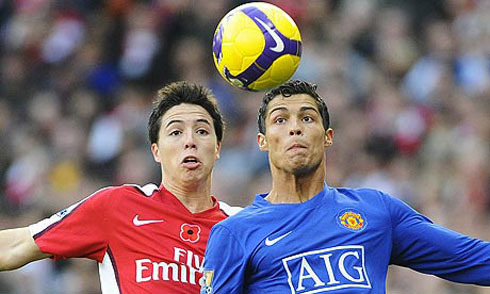 He then added that Aguero only comes second to the best player in the World, the Real Madrid forward Cristiano Ronaldo. Samir Nasri: "There's not much left needing to be said about Sergio Aguero, especially when he finds himself in great form. His stats and numbers should speak for themselves. He really has been unstoppable when playing for us and he just showed that again against Bayern Munich, earlier this week. Right now, he's one of the best players in the World and in my opinion, only Cristiano Ronaldo is better than him. He's on the same level as both Messi and Suárez", started by remarking the 27-year old attacking midfielder. 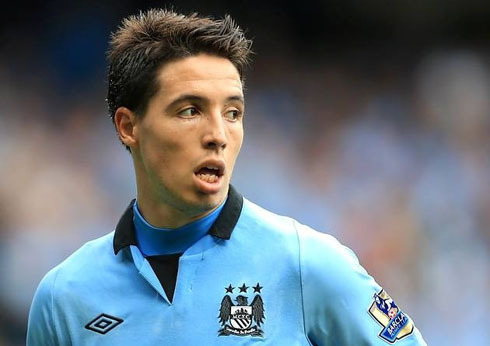 Last August, Nasri announced his decision of retiring from the French National Team, a rather unusual call that is better understood when contextualized with a few incidents that took place in the past. His consecutive disagreements with France's manager Didier Deschamps, as well as his always problematic relationship with the French media and some of his teammates in the national team, were just the tip of the iceberg. Nevertheless, he's now completely focused in his club career and after beating Bayern Munchen in dramatic fashion last Wednesday, he's really hopeful about Man City's chances of still going through into the UEFA Champions League's knockout stages. Nasri: "It was indeed a great night we've had in Manchester this Wednesday, and it was precisely what we we're needing to lift up our spirit. We know we're not depending exclusively on us to go through, but we just have to bring our best game against AS Roma and hope that CSKA doesn't pull off a surprise in Munich. We're really determined in getting those 3 points in Italy next month...", promised the former Marseille and Arsenal midfielder. At the present day, Manchester City's odds to retain the Barclays Premier League title seem to be quite underestimated (7.00). Their chances to reach ultimate glory in Europe are also not that optimistic, as they're currently rated only as the 8th strongest favorite (with odds set at 21.00) to lift the UEFA Champions League trophy on June 6 of 2015, following a final that will be held at the Olympiastadion, in Berlin. Despite the odds, Nasri still believes that City will be on the right track for a successful season, but only as long as Aguero finds himself fit to spearhead the attack when things end up getting tougher. Nasri: "There's a lot of quality and talent in this team, but for some reason, we always seem to be winning in a difficult and dramatic fashion. Aguero has been tremendously important for us this season and last year he was very unfortunate to pick up that knee injury that kept him sidelined for a long time. If he stays fit, I'm sure he'll be making the difference in those games where we'll be needing him the most...", anticipated the controversial midfielder, who is yet to score a goal this season. Cristiano Ronaldo next game will be a Spanish League fixture against Malaga, scheduled for next Saturday, November 29. You can watch Juventus live stream, Malaga vs Real Madrid, Liverpool vs Stoke City, Manchester United vs Hull City, Sunderland vs Chelsea, and Hertha Berlin vs Bayern Munchen, all matches provided from our soccer live section.